The film goes against the view that straight men and women can't just be friends. It brings this true by telling the story of Chucks (Blossom Chukwujekwu) nicknamed by his friends as the Terminator, an ardent player with ladies, whose quest to proving this law to his friends brings him three woman he must re-seduce: Ify (Ufuoma McDermott), Tomi and Ejiro (Omoni Oboli), whose lives have drastically changed. And this must be done within 21 days. 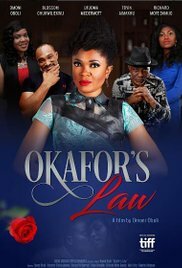 This challenge of their various new status makes his quest to win the bet more and more insurmountable as he tries to prove the immortality of the long age law: Okafor’s Law. Read more on Wikipedia.